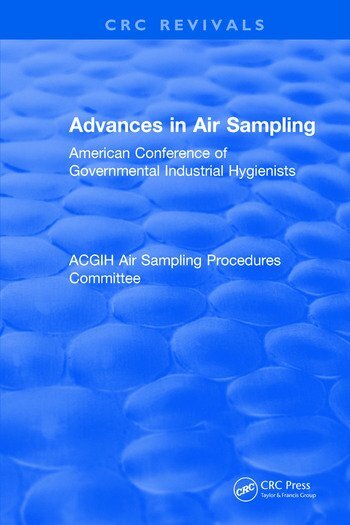 A copublication of the American Conference of Governmental Industrial Hygienists and Lewis Publishers, this series continues the former Annuals of the American Conference of Governmental Industrial Hygienists. This series is designed to present state-of-the-art information on research and practical applications of science in the field of occupational health. Bokos are normally the proceedings of an important symposium or conference sponsored by the ACGIH or other leading professional organization in, or allied with, the occupational health field. Microcomputer Applications in Occupational Health and Safety Ergonomic Interventions to Prevent Musculoskeletal Injuries in Industry Advances in Air Sampling. Section 1 Particle Size-Sleective Sampling Section 2 Sampling gases and vapors for analysis Section 3 Special Topics Section 4 Real-time aerosol samplets Section 5. Sampling strategy.